We head to Stoke Bruerne, on the Grand Union Canal, to the Canal Museum. You will find a recreation of a boat-builders workshop, along with its specialist tools, displays of traditional clothing and boaters painted crafts and belongings, beautiful historical signs, working models of historic narrow boats, barges, butties and tugs, and models and films that bring the vintage years to life. Outside the museum on the canal youll see the narrowboat Sculptor moored. It is listed on the UKs National Historic Boat Register. 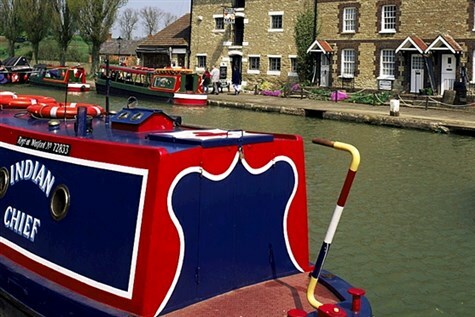 We include a boat trip along the historic and picturesque Grand Union Canal.